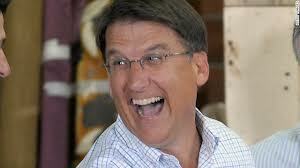 Oh for the halcyon days of NC Governors who had no veto and only one term. The situation you illuminate here is worse. Hope it's mostly Republicans who lose their jobs and have no unemployment. Hope it's Republicans that can't have healthcare because Medicaid isn't expanded in North Carolina. Hope it's Republicans that don't have the choices that other states will have with a NC exchange. Hope it's Republicans that lose their education jobs. Hope it's Republicans who suffer from toxic waste and foul air. Why, because it's Republicans who are responsible for all the above and more. They voted these stupid "redneck" and uneducated right wingers into office. Go have some tea everyone. The thing is, though, is that most of those Republicans will never make the connection. If they are denied Medicaid because of this, they'll blame Obama. If their unemployment runs out, they'll blame Obama. If they lose their state job, they will find some way to blame it on Obama. The disconnect is unbelievable. I guess it's up to us to keep the pressure on and to get the word out about who's really doing this. The Democrats are basically irrelevant in the General Assembly for the next two years, so the Republicans are going to have to own everything that they do. We need to constantly hang these things around their necks! "We need to constantly hang these things around their necks!" Robber Barrons and Kings have been hung before, so, there is hope; always hope and love for those who wish to embrace it! Or which pack of wolves? They both are very bad.